Despite being unanimously passed by council in 2013, the City's five-year parks plan remains mostly unfunded, and critics say Toronto needs to do better. Photo by Frank Lemire from the Torontoist Flickr Pool. Becoming “A City Within a Park” isn’t aspirational in Toronto. The city’s 1,600 parks cover 13 per cent of its landmass, and show we’re not fooling around. And the spaces are much loved: Toronto issued more than 125,000 permits for softball, basketball and tennis courts alone in 2012. 55 per cent of Torontonians questioned by city surveys between 2001 and 2012 said they were “very proud” of Toronto’s playgrounds, sports fields, wading pools, BMX courses and trails. The high volume of parkland ranks Toronto ahead of sister-city Chicago and 18 of America’s highest-density cities. So it seemed fitting in July 2011 that Toronto should create a new framework for guiding the City’s parks planning and services. Recognizing that shifting demographic trends meant people wanted different things from limited park space, City officials tried to balance the needs of seniors and families for public washrooms, shaded benches and picnic areas with the needs of recreational cyclists and runners for drinking fountains and well-marked paved trails. Cultural uses like bocce fields and cricket pitches were also factored in. Finding unanimity was no small task. Toronto’s diverse populations perceive of public spaces in very different ways; throw in meeting the park’s ecological goals and the resulting report, if ever something resembling a consensus could be found, would be a feat. So when City Council passed a first-of-its kind Parks Plan [PDF] to guide planning and services from 2013 to 2017, many celebrated. The worry was well justified. Funding the ambitious plan for the city’s 80 square kilometres of parkland was sent from the Parks and Environment Committee to the Budget Committee in 2013 and 2014. Whether the Budget Committee simply didn’t want to fund the Plan or lacked the funds isn’t clear; what is clear is that three years after consulting with thousands of Torontonians on the future of their beloved parks, little has been implemented from the Plan save for emergency repairs on picnic facilities and other critical maintenance, hardly the bucket list of recommendations listed in the report. 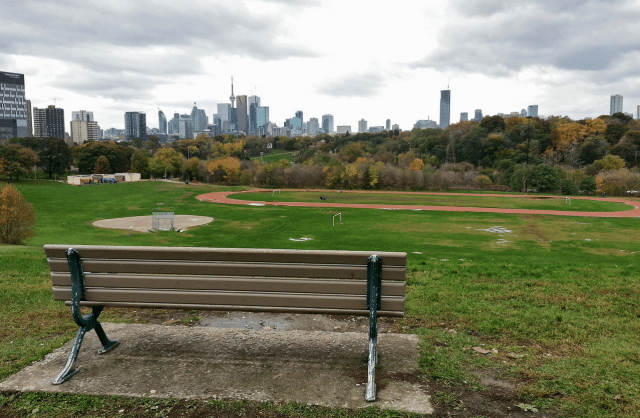 Councillor Gord Perks (Ward 14, Parkdale-High Park), a member of the Parks and Environment Committee, told Torontoist it’s “not abnormal” for the objectives of the Parks Plan to remain less-than-fully realized two years after its adoption. “We have all kinds of policy on the books for recreation, for parks, for transportation,” he said, not all of which are funded right away by the Budget Committee. But there is something else at play, Perks cautioned. “There is, I think, on council, an unwillingness to give social investment—parks, recreation, child care—the same kind of investment as we give to emergency services and physical infrastructure,” he said.